I first met Ogawa Sensei two years ago at the 8th In-Touch Japan Seminar. Being a fellow female and understanding the logistics of becoming a pediatric surgeon in Japan I have to say I was thoroughly impressed with Ogawa Sensei's resume. Not only was she an accomplished pediatric surgeon but also the top student of Tsuda Sensei. Tsuda Sensei is incredible. His ground breaking treatment of cancer with Ogawa Sensei using acupuncture makes my jaw drop. Ogawa Sensei is a true jewel that all female and male acupuncturists should truly treasure. 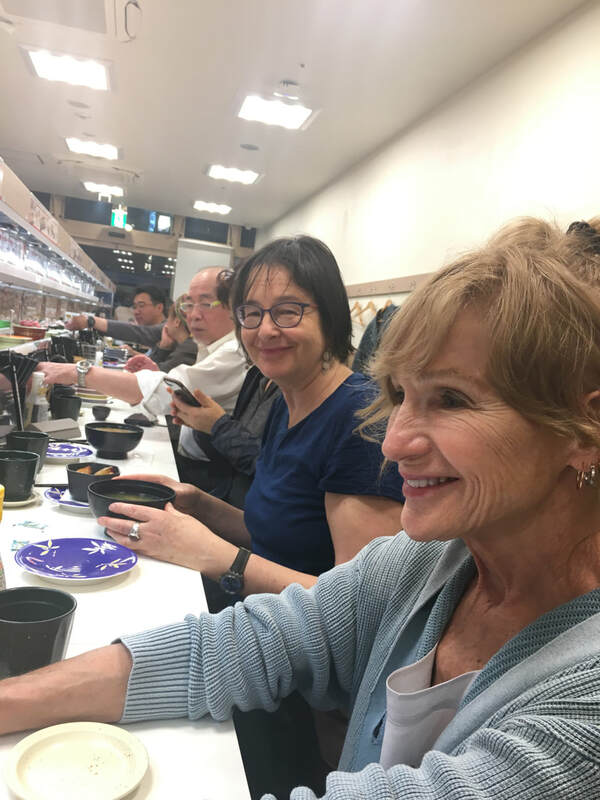 Not only for her ground breaking research that she is conducting with Tsuda Sensei but for the shear power, whit, and skill it has taken her to get her to the level she is at today. I am truly excited to say that In-Touch Japan will be featuring her and her Sensei's work for TWO FULL DAYS this year. This is not a seminar to miss. Please click here to sign up now for this years 10 anniversary of the In-Touch Japan Seminar. Interested in joining the 2019 tour? You should be because this year we are going to delve deeper than any tour in the past. We have will have more hands on time with fewer teachers. Allowing participants to learn more about each style and really develop diagnostic and practical techniques. Hurry and join now as seats will go fast! A little late on the updates but the 9th Annual In-Touch Japan Seminar is well underway! We have already had three full days of seminars in Tokyo and are currently half way through our 4th day of lectures. Our second location in Shikoku is beautiful! Tokyo is a blast but it is so nice to get out of the city!! By Heather "Maya" Suzuki, L.Ac. Maya first fell in love with acupuncture when she was 14. She went to school and became a certified practitioner of Acupuncture and Moxibustion in 2011 in Tokyo, Japan at Toyo Shinkyu Acupuncture and Moxbustion School. She has recently translated her license to Colorado, USA where she owns a thriving Japanese pediatric practice and runs the Japanese foundational acupuncture and moxibustion study group. Palpation. It is one of the common factor in all Japanese acupuncture techniques. In Japan you learn palpation for day one and continue everyday for three years. There are entire semesters of classes devoted specifically to palpation. Different styles, different methods and different teachers offer approaches that fill a tool box for years to come. That is why I am so excited to showcase Miyakawa Sensei's incredible palpation techniques. He breaks down the mystery and gives hints on how to master the subtle and gentle in seconds. For those of you who are coming to Japan this year: You're in luck because you will have the chance to study with the incredible teacher. The following video shows just a tidbit of Miyakawa Sense's palpation instruction from 2017. Check out this incredible technique! Tsuda Sensei was incredible last year teaching contact needling technique after technique. I am really excited to learn even more on how he applies this to traeting cancer and refining some of the skills I learned last year. Want to learn with me? Then hit the link below for more information! Miyawaki Sensei is one of the most exciting teachers of Meridian Therapy. Dr. Ehrland Truitt, DOM is an acupuncturist in Santa Fe, NM and has been practicing for 18 years. He graduated from International Institute Of Chinese Medicine in 2000 and specializes in acupuncture. He is a repeat student of the In-Touch tour and the founder of the High Desert Hari Society. 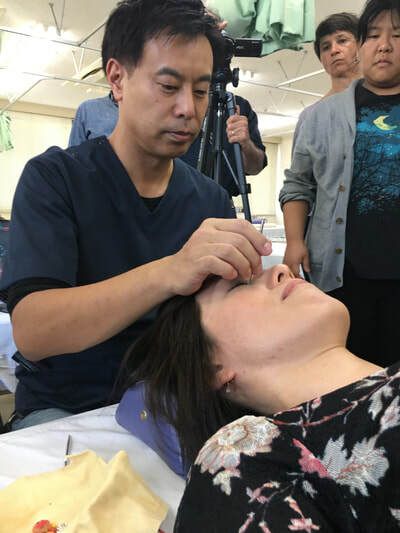 Miyawaki Sensei’s ki sensitivity and palpation skills are highly refined and his knowledge and insight are profoundly useful to the study and practice of acupuncture. 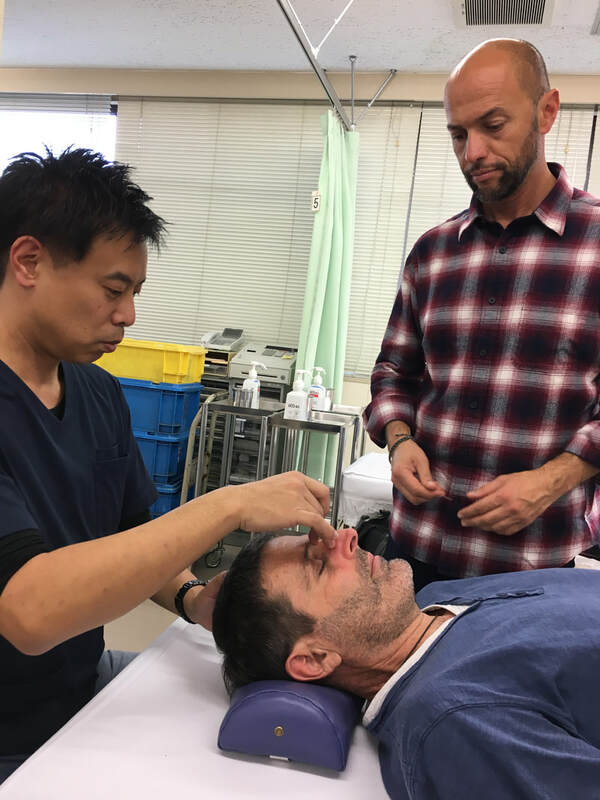 His subtle needling techniques and highly refined palpation methods help increase ki sensitivity and allow for rebalancing of the meridian system with very subtle treatments. He is a joy to learn from; his sense of humor and deep understanding of meridian therapy make his classes a thoroughly enjoyable experience. Due to his blindness, Miyawaki Sensei has developed a high level of ki sensitivity and the insights he shares allow all students to learn from his years of experience. Miyawaki Sensei, and his wife and clinic assistant Yukari-San, will share insights from their busy clinical practice. He has authored a bestselling Extraordinary Vessel textbook in Japan and is a professor at Morinomiya University of Medical Science. 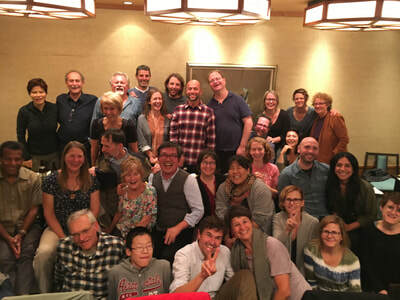 It has been a great pleasure to host Miyawaki Sensei in the United States and to share in his generous teaching. My palpation skills have improved dramatically thanks to his clinical insights and subtle, refined sense of touch. Class with Miyawaki Sensei is never dull. His puns and word play can give translators fits and keep the class laughing throughout the day. Miyawaki Sensei is one of the most exciting Meridian Therapy teachers with whom I have had the opportunity to study. 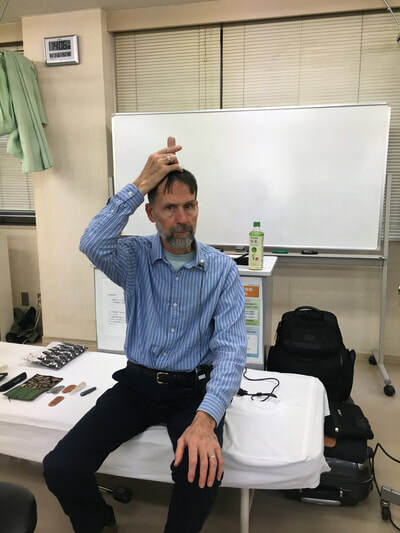 Miyawaki Sensei’s ki sensitivity and palpation skills are highly refined and his knowledge and insight have been profoundly useful in improving my clinical skills. His subtle needling technqiues and palpation skills have helped me increase my sensitivity and improved my treatments. He is a joy to learn from; his sense of humor and deep understanding of meridian therapy make his classes a thoroughly enjoyable experience. Jeffrey currently teaches and practices in Boulder, Colorado. He practiced for many years on the Big Island of Hawaii. His previous training was in cultural and medical anthropology. He conducted fieldwork in Japan where he also studied Kendo, Shiatsu, and Seitai-ho at the Mito Tobukan Dojo in Ibaraki Prefecture. He attained the rank of yondan in Kendo. He is currently president of the Traditional Japanese Acupuncture Foundation, and has played a key role in networking and promoting Japanese acupuncture and bodywork.Write something about yourself. No need to be fancy, just an overview.